A disgraced investigative journalist enlists the help of a troubled young researcher to solve the mystery surrounding the disappearance of a girl 40 years earlier. A Hollywood remake of the Swedish adaptation of Stieg Larsson�s bestseller, The Girl With The Dragon Tattoo is a much more polished and atmospheric interpretation thanks to David Fincher�s proven eye for attractive visualA disgraced investigative journalist enlists the help of a troubled young researcher to solve the mystery surrounding the disappearance of a girl 40 years earlier. 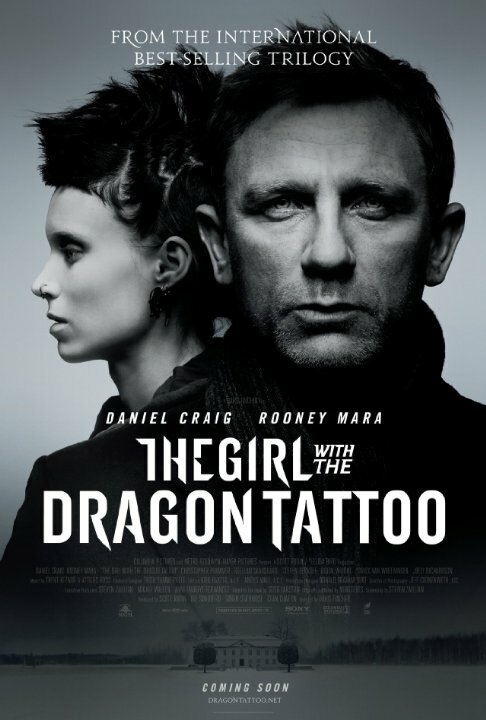 A Hollywood remake of the Swedish adaptation of Stieg Larsson�s bestseller, The Girl With The Dragon Tattoo is a much more polished and atmospheric interpretation thanks to David Fincher�s proven eye for attractive visuals and brooding atmosphere. He also wisely chose to retain the Swedish setting and does a very good job of giving it that distinctive �Nordic Noir� flavour. The addition of Daniel Craig�s dramatic weight and charisma as Mikael Blomqvist is also welcome and Rooney Mara is every bit the part of Lisbeth as her similarly excellent predecessor Noomi Rapace. In fact the entire cast are very strong and the plot receives some tweaks that make it a little less reliant on coincidence and circumstance and therefore is rather more satisfying. As a result, the entire project has a much greater sense of quality which I felt was missing from the original version, as it always felt to me to be a little �made for TV�. An extremely smart and atmospheric thriller and although it may sound like heresy, I much prefer this version to the original.s and brooding atmosphere. He also wisely chose to retain the Swedish setting and does a very good job of giving it that distinctive �Nordic Noir� flavour. The addition of Daniel Craig�s dramatic weight and charisma as Mikael Blomqvist is also welcome and Rooney Mara is every bit the part of Lisbeth as her similarly excellent predecessor Noomi Rapace. In fact the entire cast are very strong and the plot receives some tweaks that make it a little less reliant on coincidence and circumstance and therefore is rather more satisfying. As a result, the entire project has a much greater sense of quality which I felt was missing from the original version, as it always felt to me to be a little �made for TV�. An extremely smart and atmospheric thriller and although it may sound like heresy, I much prefer this version to the original.